Apple Bookkeeping we so please with their new business cards that they emailed - "Hi Trevor, great to see you the other day! Thanks for our wonderful business cards - you...	Read more..
Twinlock register sets in Pembrokeshire are great for invoices, receipts and other carbonless business forms that get used in dirty or rough environments where pads and books would not last...	Read more..
Three New Websites Designed In Pembrokeshire Go Live This Week! The design studio has been really busy this week putting three newly designed websites live. The three sites were all created by our Pembrokeshire website designers and the organisations that...	Read more.. If you are looking for metallic silver foil blocked invitations printed in Pembrokeshire please call today on 01646 682676. The photo opposite shows a full colour invitation that was recently...	Read more..
What Is Spot UV Varnishing? The Answer! Spot UV varnishing is the process of putting a high gloss varnish onto a printed surface in order to make part of it really stand out. A good example would...	Read more..
Spot UV varnishing in Pembrokeshire is sill that not common on printed leaflets and business cards. 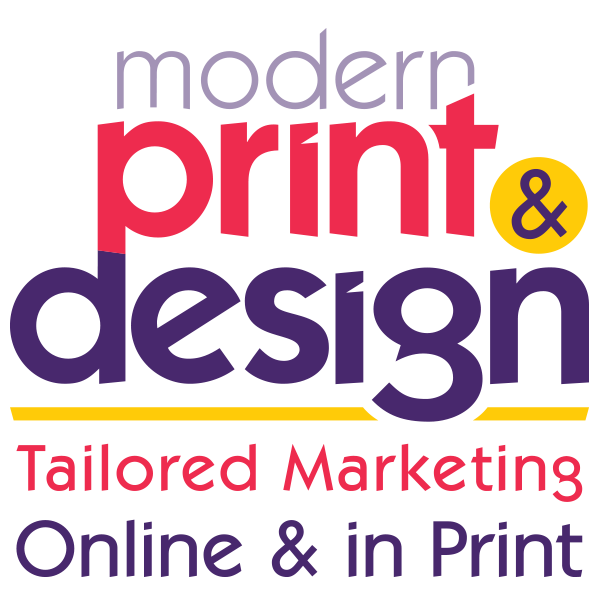 However, Modern Print & Designs studio do offer this service and have used it...	Read more..
Gwaun Garage Love The Design Done For Them By Our Pembrokeshire Website Designers! OOOMMMGGGGGGG we absolutely love it!!! Thank you so so much. There a little things we would like looked at but they are tiny bits. We are totally in love with it and...	Read more.. Here is a printed floor mat that we have just designed and produced for the Milford Haven Port authority in Pembrokeshire. It is made of a hard wearing carpet material that...	Read more..
On 28th March 2017 the new £1 coin will enter circulation in Pembrokeshire. The new £1 coin will be a 12-sided, two colour coin made of two different metals and...	Read more..
Copywriting: Sell the benefits, not the features! Market is all about highlighting which features make you different from the competition. The three major ways to do this are: Cost - You know how to price a product better than the...	Read more..
5000 Leaflets Designed & Printed In Pembrokeshire For Only Â£267! For the next two days only you can order 5000 leaflets and have them designed and printed for £267 with no vat to pay in most cases. Your leaflets can be either...	Read more.. Continuous computer stationary is something that we often print and design for Pembrokeshire businesses. You can have them any size to fit you printer and with as many carbonless duplicate copy's...	Read more..
What is A Strapline? A strapline is a memorable phrases used to increase brand awareness and sum up what you do in any advertising. Here are a few tips to consider...	Read more.. When choosing your business name, you need to think carefully – it can become an important marketing asset. However there are also important legal considerations, for example is the name...	Read more.. If you are looking for logo design in Pembrokeshire Modern Print & Design can really help. The first thing you will get is a free, no commitment design briefing with an...	Read more..
Three Orders For Pembrokeshire Websites in One Week! The website orders have been flowing in this week with three new orders from Gwaun Garage, Buttyland Manor Camping & Caravan Park and Honeyborough Construction. Thanks to all of you. The...	Read more..
Google have moved the goal posts when it comes to what it considers is a mobile friendly website. Sites that were considered mobile friendly before are no longer treated that...	Read more..
2017 Of To A Flying Start For Printing & Web Designers In Pembrokeshire! The first trading week of 2017 has been brilliant for Pembrokeshires Modern Print & Design with meany printing and website orders and inquiries. In fact it has been a bumper...	Read more..